Your friend just shared a few apps to your smartphone and you hit install but you’re greeted with a popup saying that installation from Unknown Sources has been blocked. 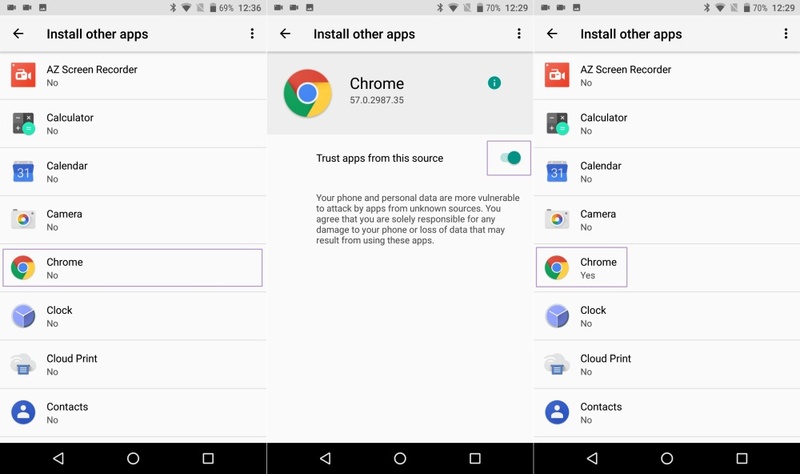 Naturally, you will have to head over to settings to enable installation of app via APK files. With the Android Oreo, this feature has vanished or rather, it has been modified. You can now have more control on which app (browsers, file managers, etc.) gets access to the installation of unknown APKs and which do not. The installation of APK files is just one change among the sea of changes Settings app is seeing. Look here for more details on changes in Settings app on Android Oreo. Let’s assume you’ve got a couple of apps from your friends in your file manager ready to install. So that next time you install the Play Store and Play Services app directly on your Android Oreo devices, you don’t get stuck. Android Oreo now presents you with a popup option which gives the External Sources option. From the Install other apps menu click on the app you want to enable access. That’s all there is to it. It does seem a bit taxing to enable this for many apps, but it needs to be done only once. So, you might as well get it done with while setting up your device for the first time.